Background: Myogenesis is positively regulated by thyroid hormone (T3), which is amplified by the type 2 deiodinase (D2) activation of T4-to-T3. Global inactivation of Dio2 gene impairs skeletal muscle (SKM) differentiation and regeneration in response to muscle injury. Given that new-born and adult mice with late developmental SKM Dio2 disruption do not develop a significant phenotype, we hypothesized that D2 plays an early role in this process. Methods: This was tested in mice with SKM disruption of Dio2 driven by two early developmental promoters, i.e. MYF5 or MYOD. Results: MYF5 myoblasts in culture differentiate normally into myotubes despite the loss of almost all D2 activity. 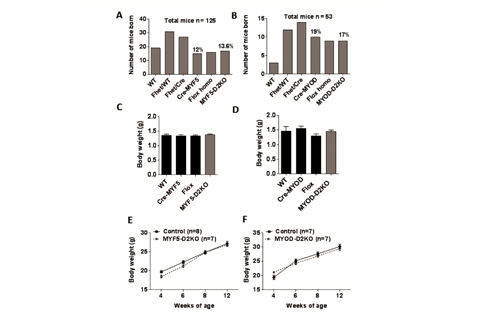 Dio2 mRNA levels in developing skeletal muscle obtained from MYF5-D2KO embryos (E18.5) were about 54% of control littermates but the expression of T3-responsive genes Myh1 and 7, Atp2a1 and 2 were not affected. 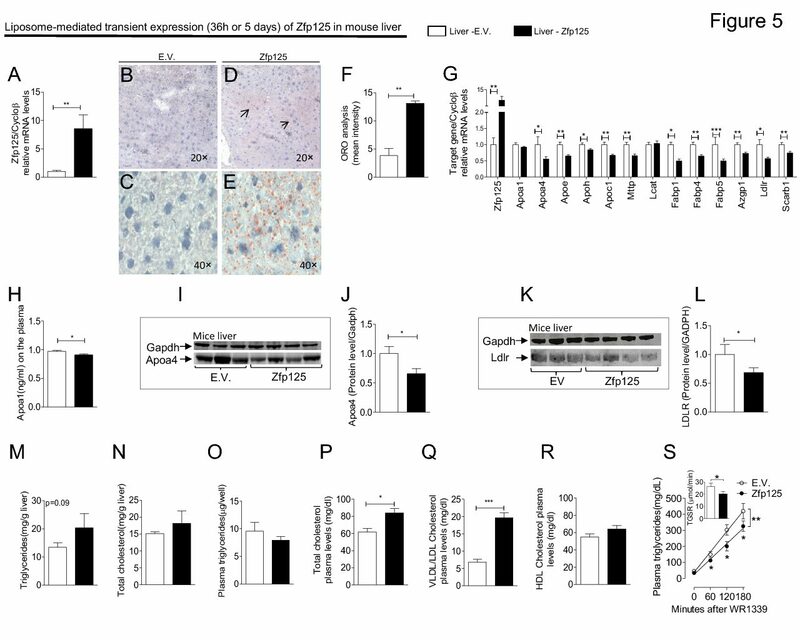 In MYF5-D2KO and MYOD-D2KO neo-natal hind limb muscle the expression of Myh1 and 7, Atp2a2 remained unaffected despite 60-70% loss in D2 activity and/or mRNA. Only in MYOD-D2KO neonatal muscle, there was a 40% reduction in Atp2a1 mRNA. The post-natal growth of both mouse models and skeletal muscle function as assessed by exercise capacity and measurement of muscle strength were normal. Furthermore, an analysis of the adult soleus (SOL) revealed no changes in the expression of T3-responsive genes, except for an about 18% increase in MYOD-D2KO SOL Myh7 mRNA. Conclusion: Two mouse models of early developmental disruption of Dio2 in myocyte precursor exhibit no significant skeletal muscle phenotype. Early developmental disruption of type 2 deiodinase pathway in mouse skeletal muscle does not impair muscle function.